Education is not a once for all process but it is a lifelong process. Moral education means development of right emotion, character and actual values. i.e formation of good habits, covering all aspects of one’s personality-moral, physical, social and mental. Panihati Mahavidyalaya (Degree College and NAAC Accreditated) is located at Sodepur, Kolkata-700110 within the region of Panihati Municipality. The college is run by a duly constituted Governing body as per rules of University statute and Higher Education Dept., Govt of West Bengal. 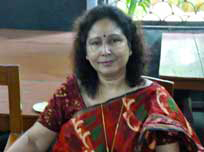 The institution has a reputation in higher learning in the entire district of North 24 Parganas of West Bengal. We are proud also for the cultural heritage of the institution.